Yona of the Dawn (Akatsuki no Yona) is a very popular Japanese manga series. Its animated television series was launched in October 2014 and proved to be a massive hit anime series. Fandompost declared that YotD will be made in two halves and released in with a gap of a year and a half. There are strong rumors suggesting that the season 2 may be released anytime next year. This popular manga series was adapted into television anime series and aired in October 2014. It consisted of a total of 24 episodes which was aired from October 7, 2014, to March 24, 2015. YOTD was produced by Pierrot Co. Ltd. Looking at its amazing popularity Funimation bought the rights for streaming this animation series in some territories of North America. Moreover, Funimation wants to renew the series for Yona of the Dawn season 2. The fans are also eagerly waiting for this one as they are sharing numerous feelings on social media and signing a number of petitions. This clearly indicates how badly fans are waiting for the second half of this series. As per the latest updates, this manga series has a total of 23 volumes which consists of 137 chapters and even 8 new volume of this has been released. So looking at this one, there is a lot of content waiting for the season2. It has earned a lot of viewers in one season just like The Devil is a Part-Timer. Here the story starts like a fairy tale. All this story revolves around Yona, who is a young princess of Kouka and doesn’t know a bit about life and survival. In no time, this fairy tale drama turns into a bloody drama when the father of Yona is murdered under the conspiracy of the throne. After this Yona loses everything, her home, kingdom, and even her loved ones. She almost got killed at a time, but only because of her loyal bodyguard and childhood friend (Hak) she remains alive. Later, it was revealed that it was Son-Won who killed her father for the sake of the kingdom. Now the princess is trying to get away from the soldiers that her cousin is sending to kill her so that he can stay in peace. It is her bodyguards who are protecting her all the time from all the odds. The season 2 predictions are clear that the princess will return to her kingdom and take revenge on her father’s murderer. 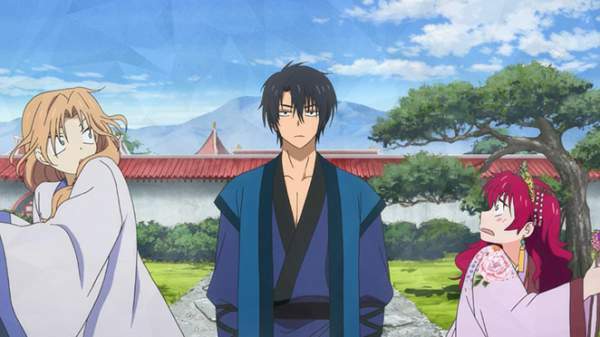 Yona and Hak got to know the first king Hiryuu, Kouka, and the Four Warrior Dragons who formed the kingdom. Then, they set out on the journey to find the descendants of legendary Dragons as they are the ones who can save her kingdom. In this journey, she comes out as a strong individual and started recruiting warriors to take back what is hers. In the process, she also learns to shoot and fight, and changes from a naive person to a powerful woman. As per the recent updates, there has been no official announcement regarding the release of the season 2. However, there is a huge fandom for this series and the creators of Yona of the Dawn may soon come up with the official release date. The fans are eagerly waiting for Akatsuki no Yona season 2, just like Tokyo Ghoul season 3. There is no shortage of content. it’s been a year waiting everyday trolling and surfing on net about the next season I really wanted second season out of passion.